SNAFU! : CH-148 Cyclone conducts wet hoist training operations above the Halifax Harbour in Nova Scotia. 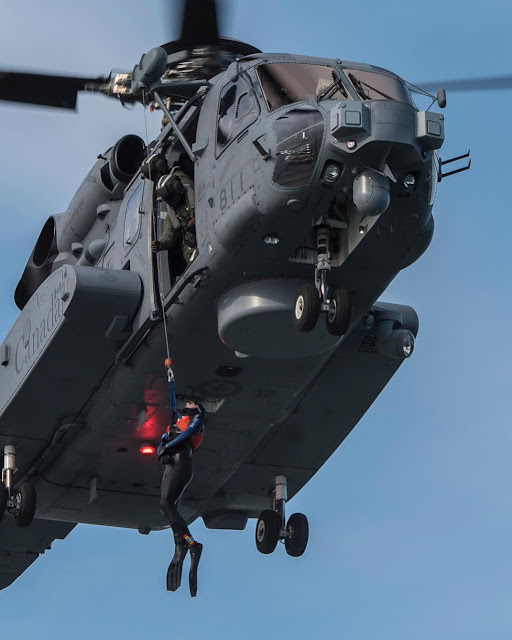 CH-148 Cyclone conducts wet hoist training operations above the Halifax Harbour in Nova Scotia.